My children are now grown, but I can remember the joyful, fun, and sometimes chaotic, years when they were little. Housework was often at the bottom of the list and there were days I felt successful just getting them dressed and fed. However, as with anything worthwhile, I find that I would not have traded the experience for the world. What I have also found is that I learned a lot. Not just about what worked for me and my family, but many things that have helped me run my own business. 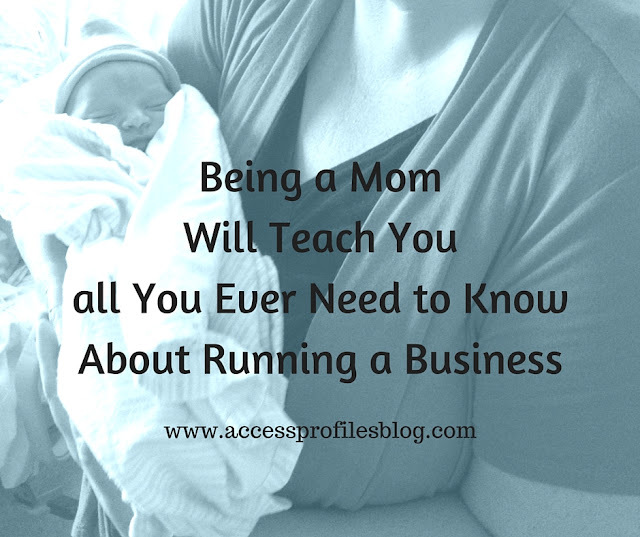 Lessons Motherhood Teaches You about Running a Small Business! "Tweet This"
If my husband and I had waited for the “perfect” time to have children, we may still be waiting. There are simply times in your life where your best course of action is ACTION. This has served me well in my business. I continually remind myself that you can prepare all you want, but at some point you just have to jump in! While it is great to have goals and outline steps to reach them, my children taught me the value of being adaptable. Simply learning to roll with things instead of fighting against them made my life so much easier. It has been much the same with my company. Understanding that things often do not go as planned has saved me a lot of stress ~ and it certainly allows me to enjoy the adventure. As I am sure many of you can attest to, kids move at their own speed. Trying to get them to hurry up was futile. I realized that most things would not be done on my schedule and that is okay. This has served me well with my clients too. I can respect what works for them and alter my work accordingly. Trying to push them into making decisions before they are ready serves neither of us. With my children, I really had to stop and listen, with both my ears open and my mouth closed. Taking the time to pay attention to what was important to them helped them feel valued and helped me understand what they were really trying to say. My clients like the same attention. I make sure to focus on what they are really saying. This helps me find out where they are coming from and how I can address their needs. Comparing myself and my family to others’ was a no win situation. So your friend’s child can play the piano at 3. So their house is “house beautiful”. So what? The same can be said of your business. Evaluating your company against what another company is doing can be counter-productive. What is important is deciding what is important to You. Raising my children helped me realize that even small things can bring joy. I remember the sense of accomplishment I would feel after a great day. Reading with my children before they would go to bed or sharing a joke with them all made me feel happy and satisfied. Your business “wins” can be the same. 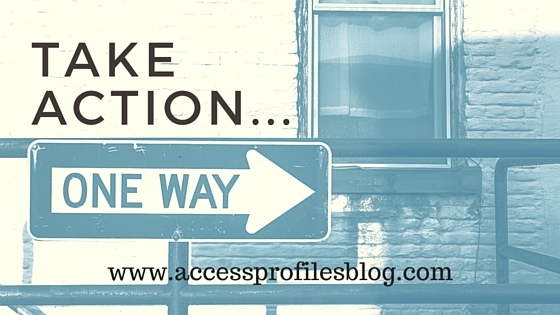 Maybe you got a new follower to your blog, or a great comment from a reader? Or maybe a potential new client contacted you for more information? 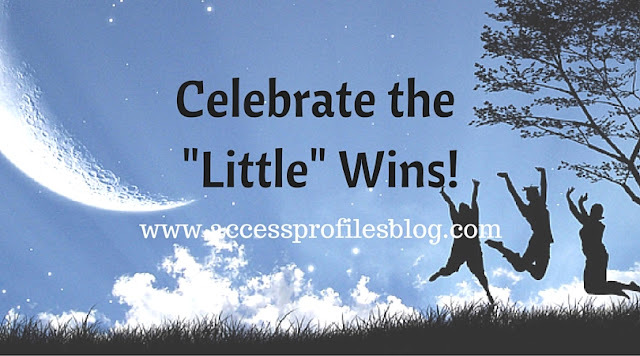 No matter what it is, all deserve to be recognized for what they are...Wins! 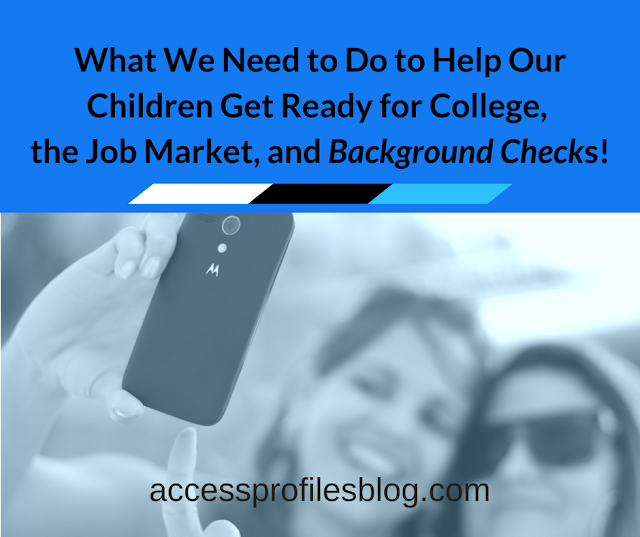 I had to learn early to appreciate my children’s different personalities and abilities. By allowing them freedom to make decisions and contribute, they grew confident in themselves. And, needless to say, my negotiating skills are through the roof! This has also proved invaluable in dealing with my clients. Clients like being treated as “unique” and treating them as individuals has served me well. I enjoy discovering what they are all about and tailoring my services to match. The bottom line is that being a Mom has been the most rewarding and best learning experience of my life. The satisfaction of seeing my children grow and the unparalleled love I feel for them has undoubtedly changed me, and I am a better person for it. It is also this experience that has given me the tools to run my business in a way that suits me and, hopefully, my clients. 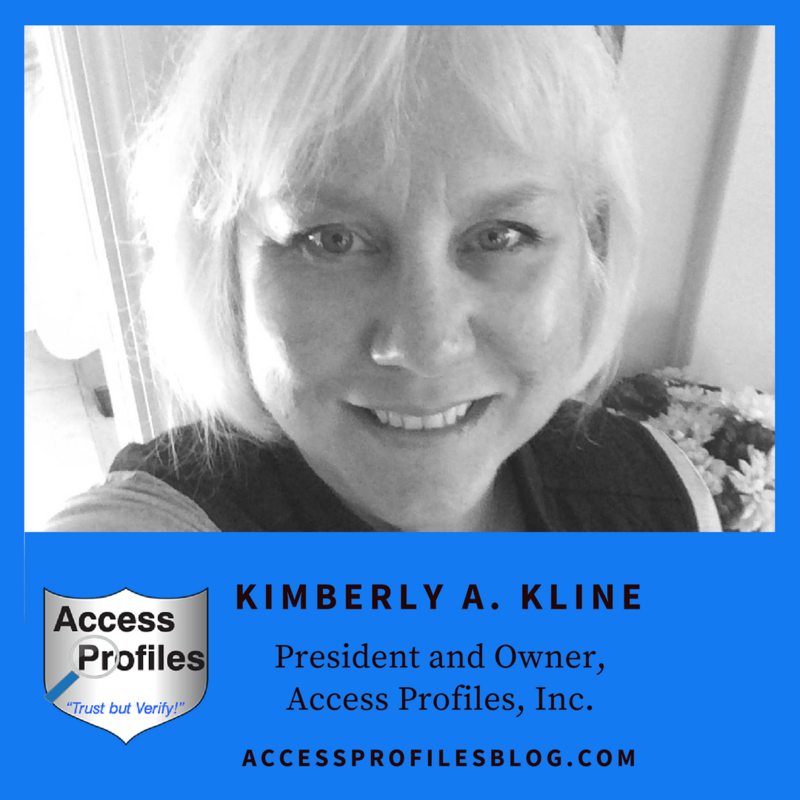 for more articles and tips focused on You and Your Small Business! About Us and our Background Investigation, Business Mentoring, and Security Consulting services too!